It is never easy to cover live news events in the Philippines. For outlets such as People’s Television Network, CNN Philippines, GMA News TV, DZMM TeleRadyo and ABS-CBN News Channel, following a live broadcast of a news event takes sacrifice and dedication. With that, they sometimes preempt ongoing programs just to get into the meat of the action. But what if there are two news events that take place at the same time? Like for example, an ongoing Senate or House hearing taking place alongside either a press briefing at Malacañang or a speech of President Rodrigo Duterte. Obviously, the priority of the news networks is the executive branch, who always has the final say in political matters. 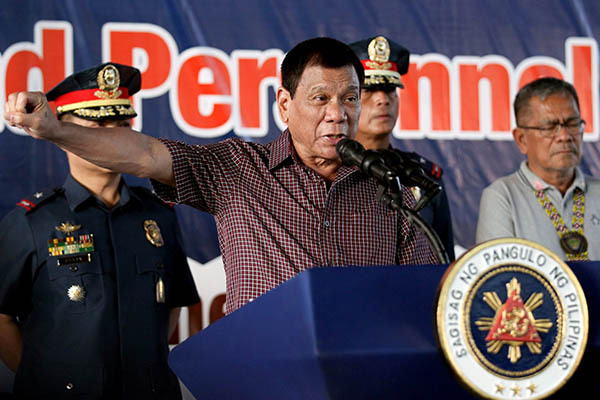 That said, it is mandatory to cut away from a live Senate or House hearing just to move over to either the Palace or President Duterte himself. But for some, cutting another live event short in favor of either Malacañang or the President can be rude at times. For them, not all headlines involve President Duterte and the Palace, and on occasion, the Senate or House hearing could be the top story of the day. Unfortunately, there is nothing that they can do. Focusing the executive branch over the legislative branch in live news broadcasts is a long-standing tradition, one that news networks always abide. For those who want to get the news straight, there is YouTube to take care of. Radio Television Malacañang (RTVM), the Senate of the Philippines and the House of Representatives have their own YouTube channels that focus on their respective branches, and they live stream important events that are also seen on news channels in the country. But for those who don’t have the patience to watch, just wait for the evening newscasts to summarize them all. After all, live news coverage is only for the most informed citizen. In the end, news coverage will always be a complicated process. But at least there are alternatives to get the necessary facts to the viewer. Don’t count out Facebook Live. It is now use by different news orgs to do multiple news coverage. Its use is limited though. That’s why YouTube is still the more preferred choice. I don’t want to talk politics but speaking of YouTube and FB Live, those feeds were used by trolls who are the terminally-ill supporters of the President who are actually hypocrites in criticizing the media against him. They use such feeds, devise a misleading title and create a thumbnail image depicted his critics (Sen. Leila de Lima, Antonio Trillanes, etc.) as enemies and publish it to YouTube. This act lead users searching the events to be in trap and become online warriors. This is why we are in the post-truth state. Anyway, FB and YouTube are better alternatives than news channels when it comes to live news coverage. Nevermind those trolls, as long as we get the news straight.